In every meeting, decisions are to be made. Such decisions could affect the entire course of your business. It affects your resources such as your money, it also affects your time and business operations, and it would affect the people involved in the business operations. You may also see application writing examples. There are a lot of important things that are put at stake during meetings, that is why there is a need for every meeting to be documented and that is through minutes writing. Through these meeting minutes, every single meeting you will conduct will have a record of what has been discussed and decided. 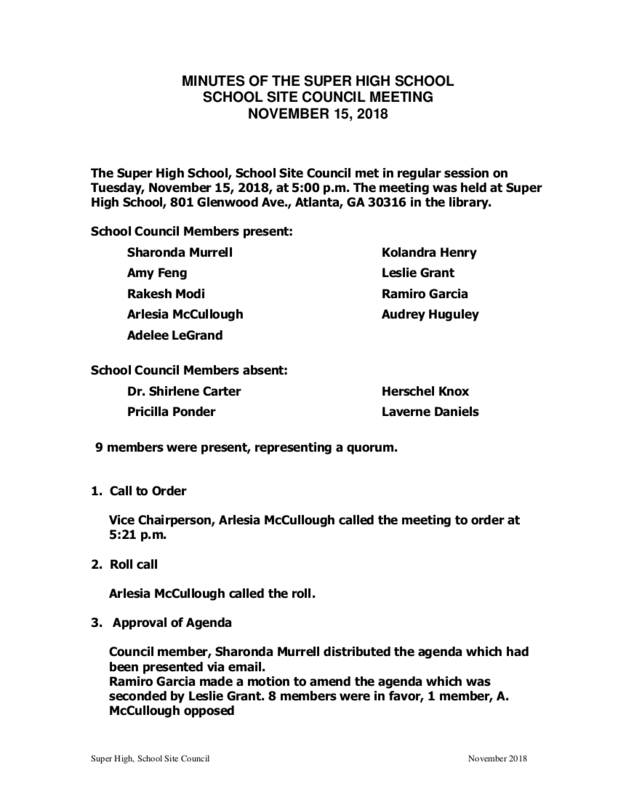 It would also include the list of the people that have and have not attended the meeting. 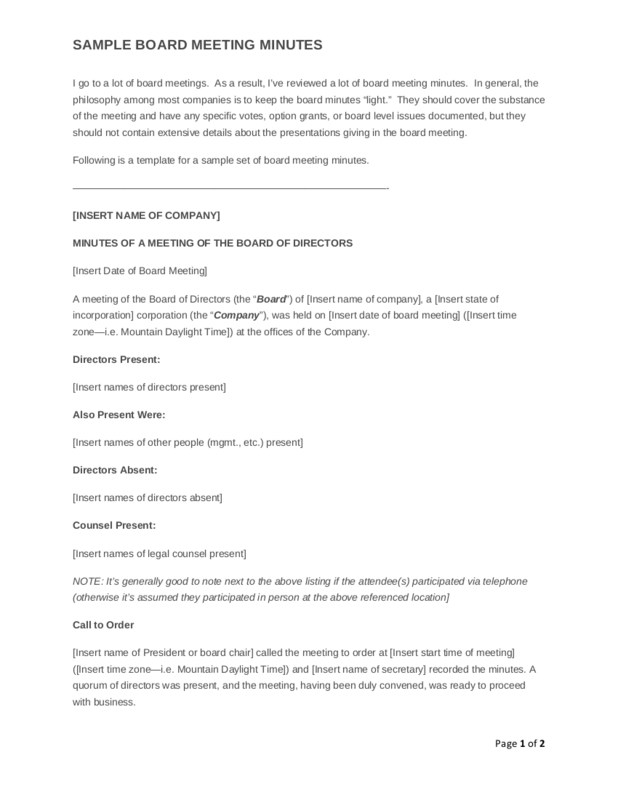 The minutes of the meeting can be a useful document for the next meetings to follow. 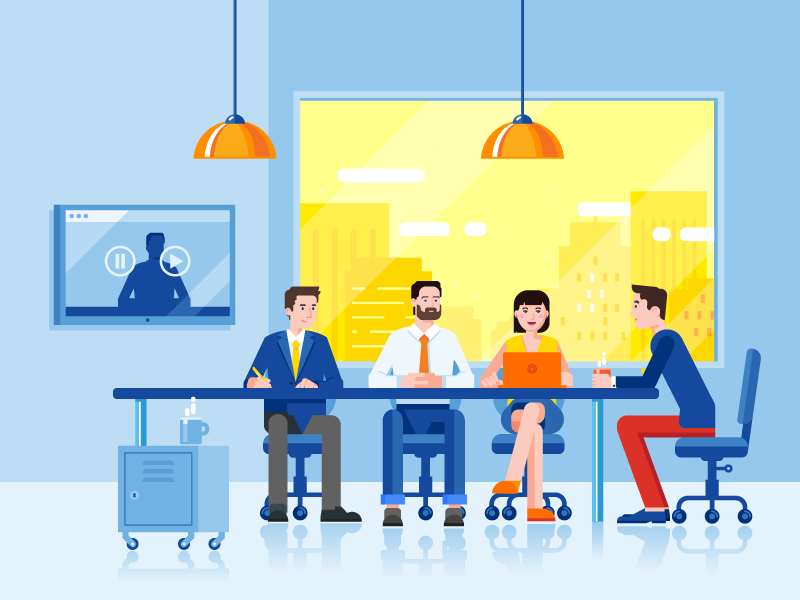 Aside from containing the decisions of the meeting, minutes of the meeting also include important details such as who is responsible for a particular task, when should the task be executed, how should the task be executed, and so on. Minutes are also helpful for those who have not attended the meeting. You may also like report writing examples. Writing minutes of the meeting could help your business in saving time and money. Those resources are put at stake during meetings. Important motions and resolutions are made during meetings that you must be able to effectively take note and record of all these important discussions. You should also make sure that the minutes of the meeting were able to grasp all of the critical information. You may also check out abstract writing examples. 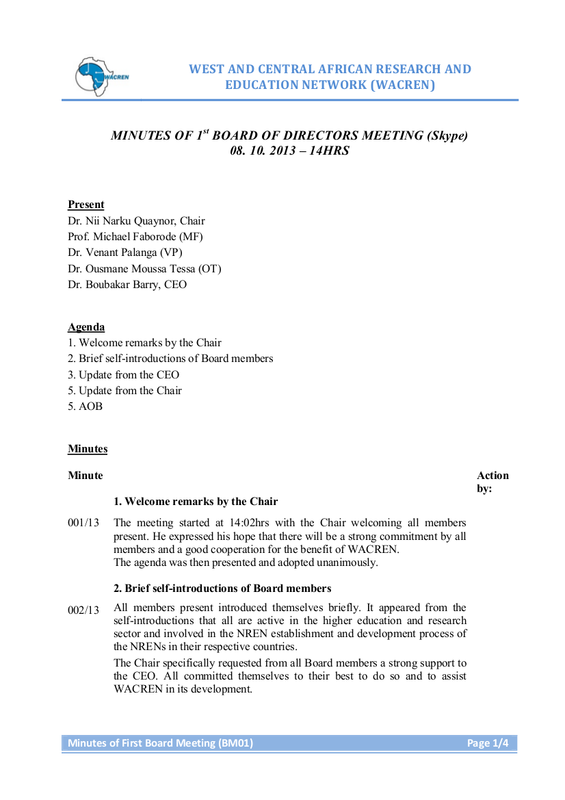 Minutes are, in fact, an official record that the participating members of the meeting should have to approve about the decisions of the motions and resolutions taken in a meeting. It is a brief but complete record of all discussions held among the members of the meeting. It is also defined as the official record of the proceeding of a meeting that should be needed to be approved by the participating members of the meeting. You might be interested in script writing examples. 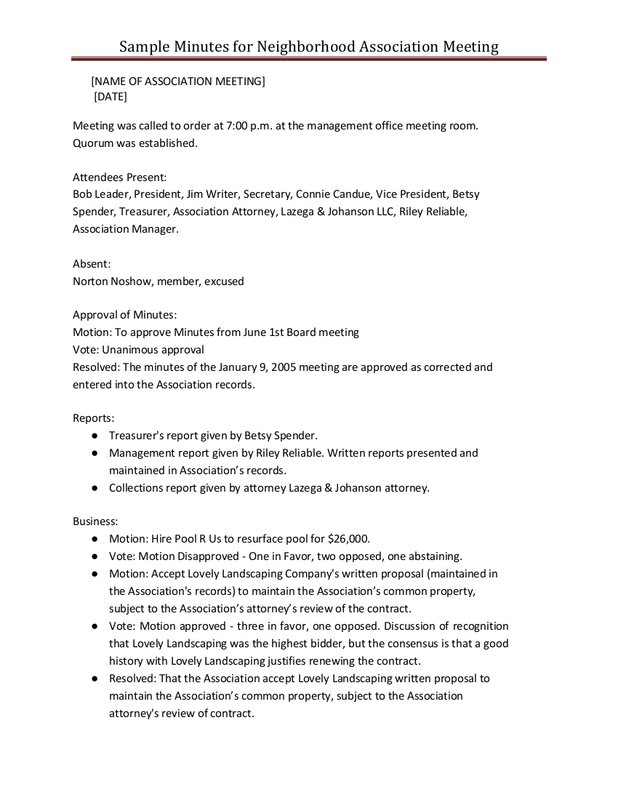 The minutes of the meeting is simply defined as the official record regarding the proceedings that happened during a meeting. Minutes are helpful when it comes to capturing and recording about what had transpired after a meeting. 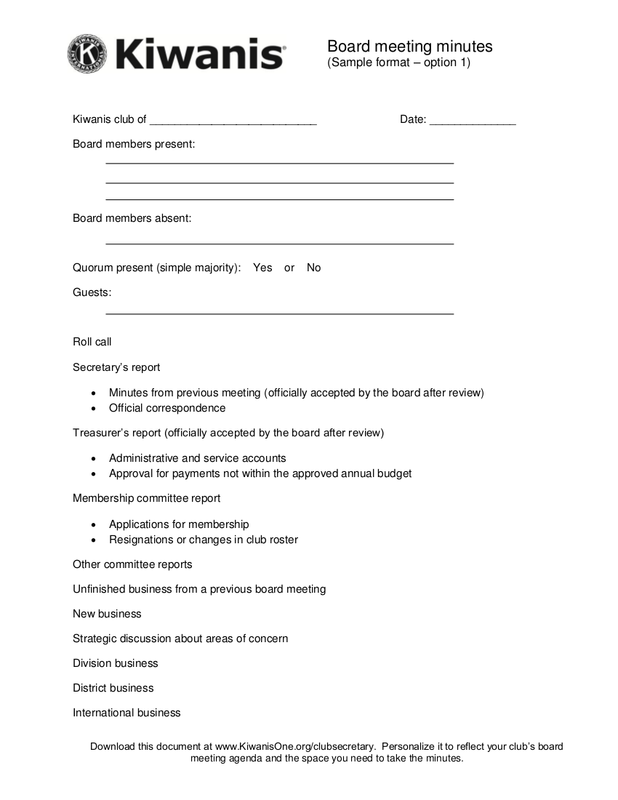 This official document is used as a reference for the future or follow-up meetings. Minutes should be written in a clear and concise manner but its conciseness does not mean that it is deprived or compromised of vital information. Despite its brevity, it contains a complete record of all the important decisions and discussions made during a meeting. You may also see informative writing examples. 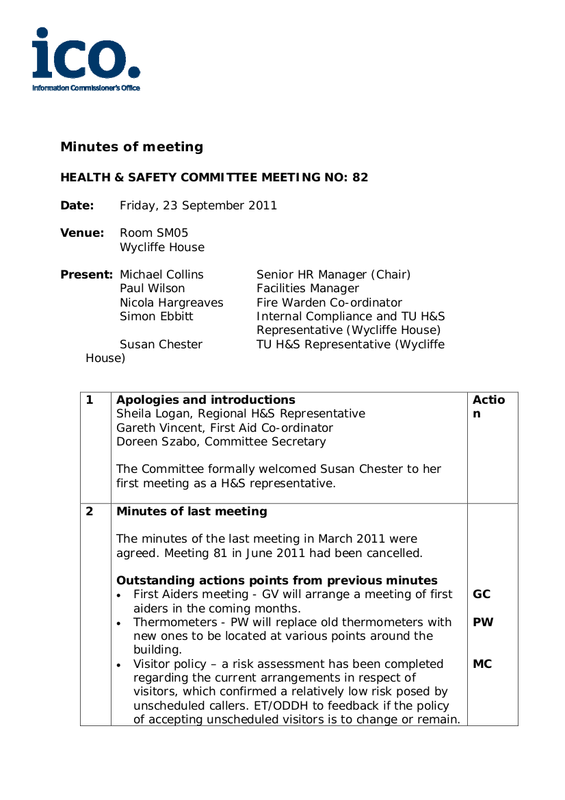 The information found on the meetings of a meeting is important not only to those who have attended the meeting that they would have a document to be used for future purposes but it would also be beneficial to those who have not attended the meeting so that the would be able to have an idea of what had transpired during the meeting that they were not able to attend. You may also like formal writing examples. 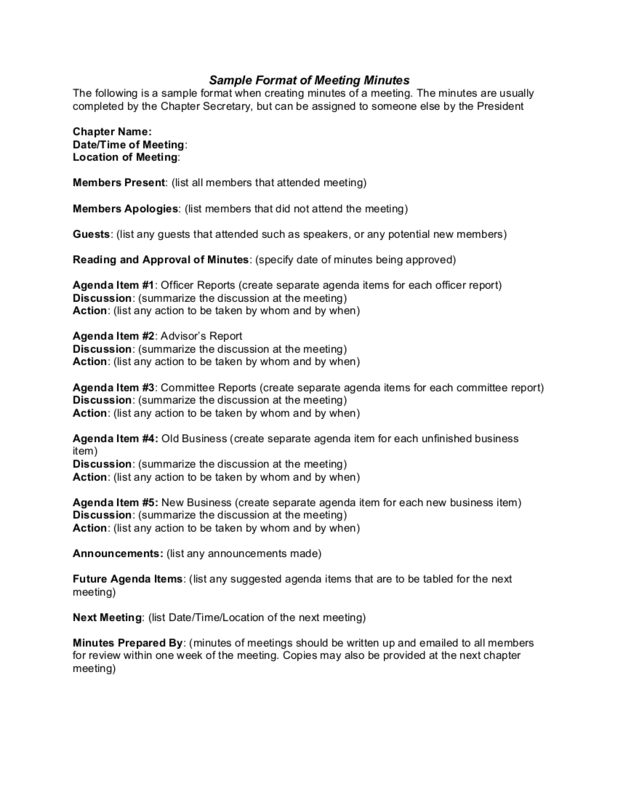 The minutes of the meeting are usually written by the secretary or an assistant but it does not restrict to that since any appointed individual can record the minutes of the meeting. What Needs to Be Included on Your Minutes? When you are to write the minutes of a meeting, you could not just write in verbatim the discussions made. You need to be able to know and distinguish what you should and should not include when writing the minutes of the meeting so that you would not waste your time in writing irrelevant matters and that you would not also waste the time of other people in reading the irrelevant matters that you have written on the minutes of the meeting. You may also check out narrative writing examples. You have to prepare these details beforehand so that you would also save time and pour all your attention to the details that are yet to be known. It is important to include the purpose of the meeting so that you would be able to identify what the meeting was all about. 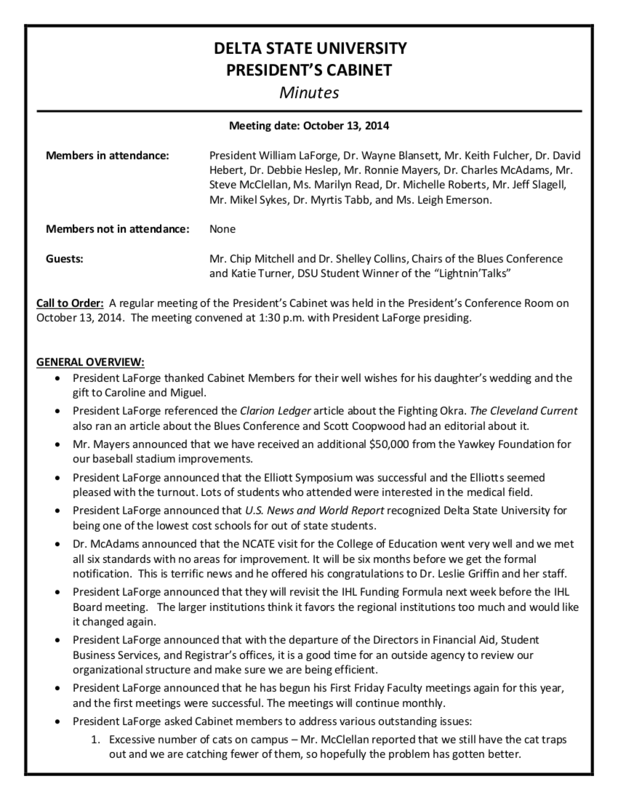 It is important to know who and did not attend the meeting so that you will be able to easily identify who you should need to inform updates to. List down the agenda items in bullet form so that you would not find it difficult to browse if ever you would write in a paragraph manner. Save both your time and the other people in the meeting. 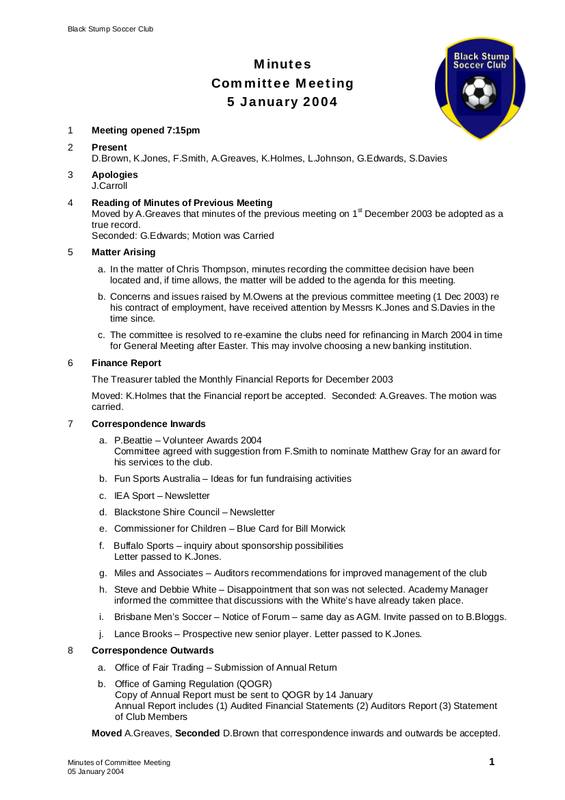 If you’re interested, you can check out meeting agenda examples as reference. You should make sure that you have effectively listed down the decisions that were made during the meeting. These decisions are the most vital information your minutes will ever have and forgetting about it could definitely put your business and the people involved at high risk. You might be interested in notice writing with examples. 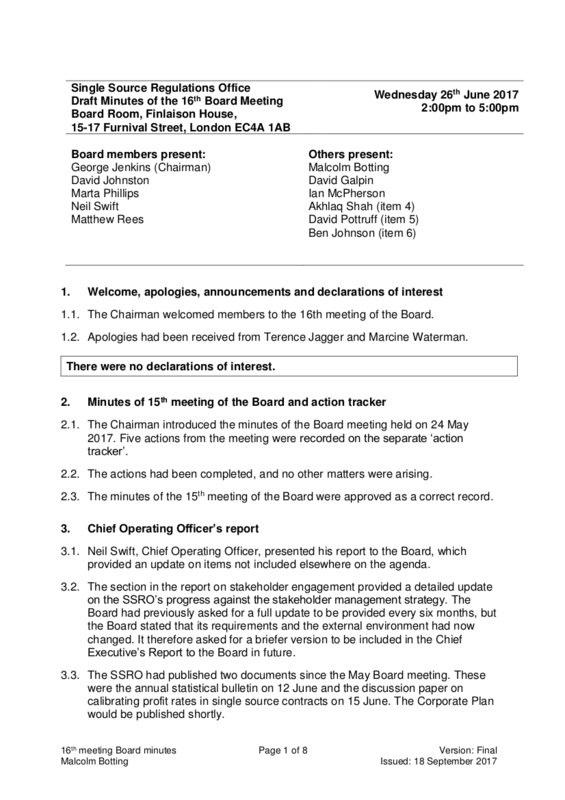 People might forget the date of the follow-up meeting that has been decided on. Including the follow-up meeting date will also be helpful for those who have not attended the meeting so that they will be informed of when the next meeting will be and that they can finally attend. You may also see summary writing examples. You might think that writing minutes is time-consuming. However, even if it costs you time, minutes can actually help you save up your other resources such as your money. With minutes containing the written record of all the important discussions made during a meeting, you and the other attendees of the meeting about what had transpired and discussed during the meeting. You will not be able to forget about the decisions and the ideas that were discussed as well as the tasks that should be done by a certain and agreed date. You may also see paragraph writing examples. Minutes are helpful when it comes to keeping your business in line with the laws of the country as well as in backing up your tax returns. Minutes are considered as legal documents that help in representing the board’s actions and if the said actions are not on the minutes, then it did not happen at all. With the help of well-written minutes, it would encourage and drive action from the people involved. Minutes can provide an action plan that can improve or enhance an organization altogether. A good minute of the meeting provides clear answers to the questions of how, when, why, and by whom the decisions were made. Even if there are members who were not able to attend the meeting, they would still be encouraged and driven once they get to read the minutes of the meeting. You may also like writing examples in doc. There will always be people who forget things, even the most important ones that they should not miss. With detailed and completed minutes of the meeting, they would not anymore have any excuse why they were able to forget. Minutes of the meeting provide the discussed key points of the meeting, the decisions made as well as the reason behind making it, and the actions agreed upon by the members of the meeting. It also sets you free from any ambiguity since all minutes are to be written with clarity, conciseness, and brevity. You may also check out paragraph writing examples. The minutes of the meeting could be long and detailed and short or direct since it all depends on the nature of the meeting, but however the minutes of the meeting are presented, it must always never be void of the important discussions and decisions made during the meeting. There are meetings with a purpose or general agenda that is of critical importance and this is when you should invest in having a good know-how on how to write a good one. 1. Write the minutes of a meeting that you and everyone would be able to easily remember. This means that you have to write the minutes of the meeting during the meeting and not when the meeting will already become a distant memory. Plus, you would also have to write it in a way that you would be able to easily remember such as writing it in a chronological manner. You may also see article writing examples. 2. Write the minutes of a minute by starting it with the review of any action done. This is to ensure that everyone will be kept on track on how far or how close everyone is from the professional goal of the entire organization. You have to write down every single action and even the absence of action from the last meeting as well as its progress in case if it has not been completed yet. 3. Do not forget to mention the owners of the action. Do not just settle on simply writing down the actions done during the meeting but you also have to include who was assigned to do or lead those. If possible, you also have to include the target date of the day when those people should be able to complete their assigned task. Minutes, when viewed lightly, may seem to look just like an ordinary document. But if you would look at it closely, you could actually see that there’s more to the mere recording of what had happened during a meeting. We hope that you have gained more insights regarding the minutes of the meeting with the help of this article and that the examples that we have collected and compiled here have actually inspired you to create your own. You may also like english report writing examples.